Not long ago, I posted a Prayer for Wisdom and since then, I’ve prayed it over and over again. I’ve received criticism about writing prayers recently, as some people feel that prayers should be words from your heart and not memorized mumbo jumbo. (What is mumbo jumbo exactly?) I hope that you realize that the prayers I write are words from my heart and the reason I write them is to offer a gift to God. Think of it this way for moment. I love my husband more than I can possibly express. When I scribble a note to him, he enjoys it no doubt. But on special occasions, I buy a card with precisely crafted wording. I want him to know that I took extra time to find the words that express exactly how I’m feeling about him. I want him to feel loved and treasured because he knows that I mean every word I’m giving to him. Writing prayers to God is taking the extra time to choose your words carefully to reveal the meaning of your heart. When we agree together in prayer, God answers. It’s just that simple. That said, enjoy A Prayer for Guidance. And yet cradles my heart. Today I humbly recognize the need for your guidance. How I crave your presence to lead me. The path is dim and unclear. The journey is confusing and obscure. Show me the movements to mirror your will. So that I may boast in your glory and your plan. My dad told me along time ago. If you don’t have anything nice to say. Then don’t say it! Thank you so much for sharing and the knowledge you pass on to others! We are here to keep seeking and learning. Thanks for all you do! Keep writing prayers those words are encouragement for lot of hurting people. A friend taught me years ago the power of written prayers. I was timid when I first started sharing them on FB, but I have received so many private messages thanking me for the timeliness of the prayers and the prayers themselves. Those postings and words were most definitely from the Holy Spirit, and the timing was absolutely God’s, and not mine. Thanks so much for your beautiful prayer and for all of your devotions. Your honesty, integrity, and love of the Lord shine brightly through your postings! Thanks so much for sharing your gift with others! Thank you. God bless u & urs. Dear Rachel, As an Evangelist of the Gospel, I feel it’s our Christian duty to share our prayer life publicly. In many instances, there may be someone who doesn’t know God, in the personal sense and we as Christians may be the only Bible they read or even dare to pick up. Besides that, it is not for me or my fellow man to judge whether your right or wrong. That’s the work of The HOLY SPIRIT and the individuals heart that God is seeking to touch. I praise your efforts to spread the Gospel of Jesus Christ to a lost and dyeing world. Thank you! 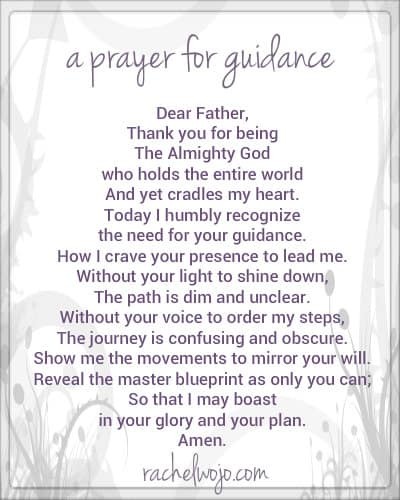 your prayer for guidance. was just what i needed. may God BLESS YOU! Love your prayers sister! This SAHM really enjoys being able to read/pray your prayers when I can’t always find my own words! God Bless! A prayer like this is wonderful when I can’t find the words or feel my words aren’t adequately conveying what I want to say, even though God knows what’s in my heart. Isn’t The Lord’s Prayer……written? And said regularly? Those people are right – a prayer should come from the heart. And that can happen whether it’s something already written – like one of yours or the Lord’s Prayer – or whether it’s created spur of the moment by the person praying it. So it’s HOW you pray, not WHAT you pray. In my opinion. Thank you for your prayers you share. I pray them along with my own. I love your prayers and use them all the time. Sometimes I do not have the strength or power to say what I want to say and you have the gift of writing such lovely things from God and they bless me just at that perfect time with I need it. God is using you Rachel, continue to walk with him. May God continue to minister through you and give you the guidance to help us. Thank you, Rachel for your written prayers. I keep the prayer that you are referencing (Prayer for Wisdom) in my book of prayers that I have written down. By sharing, we not only learn what is in your heart; but hopefully, it will inspire and guide someone else. Words from one’s heart are meant to be shared sometimes. Thank you for the beautiful prayer. What is so ironic, is this is exactly what I have been praying for-guidance from God to show me what direction I need to go to find my renewed purpose in this life. I have come to believe we pass through different phases in our life, renewing our purpose with each phase. My children are all grown and don’t need me quite as much as they used to and I find myself lost sometimes, wondering where I belong now and what my purpose is. So my prayer is for guidance, and your words capture beautifully what is in my heart to speak to Our Lord to ask Him to show me the way. Thank you. Thank you so much for your prayers and your blog. Do not be discouraged by any negative comments. 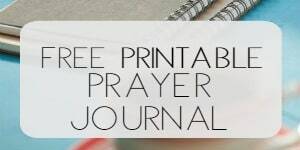 Not only do I print out your prayers but I send them to others to encourage and comfort them. May you continue in God’s favor and blessings. Wow! Rachel, you are an amazing gift that God created for your husband, your children and for us! I am so thankful for all that you boldly and courageously share with all of us. I am sorry that anyone would be so daringly and inappropriately bold to question what you are doing here! You are a great help to so many of us! I will be praying for those that find it necessary to fault others. Again, I so appreciate all that you do. It has helped me so much in my life where I am sadly and unfairly judged and misunderstood. I am a very blessed mama of 5 kids (four with special needs) and a wonderful patient husband! God Bless you today and always!! Rachel – I love your prayers – you keep writing them. Thank you, for your ministry and your time. Your prayers always seem to come at the time you need them the most. Love you and God Bless. I appreciate your prayers. I write down prayers a lot, it helps me to keep my mind from wandering. When I can’t even put two words together to form a prayer, I copy & re-read prayers like yours (& some others) to help me communicate what I want to pray. Rachel, thank you for sharing your beautiful prayers! If they speak to me, as this one on guidance has, I print them to keep. I love your writing! It is a God-given talent meant to touch those who in need! Please, never stop sharing!! Thank you for sharing your prayers. I have printed many of them out and laminated them to keep in my planner to refer back to. I have also emailed them to friends to encourage them as well. As a single woman who lives on her own I don’t have anyone in my home to pray with and my parents live out of state. There are many times that my best friend, who is a SAHM, and I, who work full time, will send prayers to each other via texts when we need some one to pray with or for us. My mom will do the same. Last night, I shared with a friend a request to pray for the Lord’s direction in my life as I know He is calling me to step up in some area of leadership within my church. This morning as I checked my email I saw the subject line “A Prayer for Guidance” and laughed. The Lord is so very good. Thank you, friend, for being faithful to His direction in your life and for joining me in prayer without even knowing it! I really enjoy your posts and your prayers they are very encouraging, It helps me think and gives me a direction on certain subjects that I can’t always find the words for. Although I know that the spirit will intercede for me. The only issue that I have is that I believe we should end everything prayer in Jesus’s name as we are to pray to God through him. John 14:6-13, 15:15, 16:23-34, Eph. 3:12, Hebrews 4:14-16. I’ve noticed sometimes you end your prayers in Jesus name and sometimes you don’t . Thank you, Rachel! Your prayers inspire me! I, too, write prayers in the cards that I make. Sharing a prayer should never be criticized. Keep up the good work. Sharing your blog is a blessing for many. Thank you Rachel for sharing your prayers. I enjoy them, save them and share them with friends. Do not give ear to negative comments. I have been encouraged and lifted up by your prayers. They help me when I can’t find my own words. Then there are times when the start the conversation for me with my God. Keep doing what your doing. People criticized Christ for all his work. Who are we as stewards that we to be criticized for our work. May God continue to bless you with the ability to write words that have a deep meaning that can be shared and prayed by many. I love knowing that someone is in agreement with me and my prayer. Thanks. Please go on offering your thoughtful, inspired by the Holy Spirit prayers. I am sure God gives us gifts to share. Most of your prayers have helped me express what I was not able because of weariness, confusion or extreme sadness. Please keep writing your prayers. Others have the same needs and desire . You are an inspiration and I thank you. Rachel your prayers are a great blessing to me! 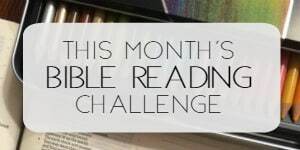 Your blog has been so helpful to me developing this phase of my faith. I pray that you do not feel discouraged by criticism! Keep on keepin on Rachel. Anyone who has followed your blog knows it’s not mumbo jumbo by any stretch of the imagination. It’s easy to get discouraged by negativity, and I’m sure the thousands of people who are touched by all your posts, don’t all stop and say so. You’re encouraging many many people. Your prayers are beautiful expressions. Keep writing what the Lord lays on your heart and He’ll take care of the details as you know. I was raised in the Catholic Church- all I’ve ever known is memorized prayer! 🙂 I feel like I am just now even beginning to learn how to pray from my heart. 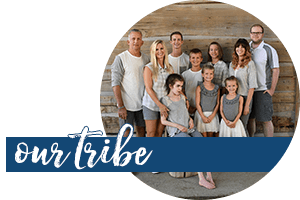 But you’re right – there is such power and such purpose in joining in prayer with others, and that is how I feel when our entire church says a prayer together, or whole family prays the same prayer together at meals.